The New Wind Turbine Cartoon is ready!! Josh writes: Apologies for the lack of cartoons this summer but I’ve been beavering away on a follow up to the Subisdy Sam story produced earlier in the year. 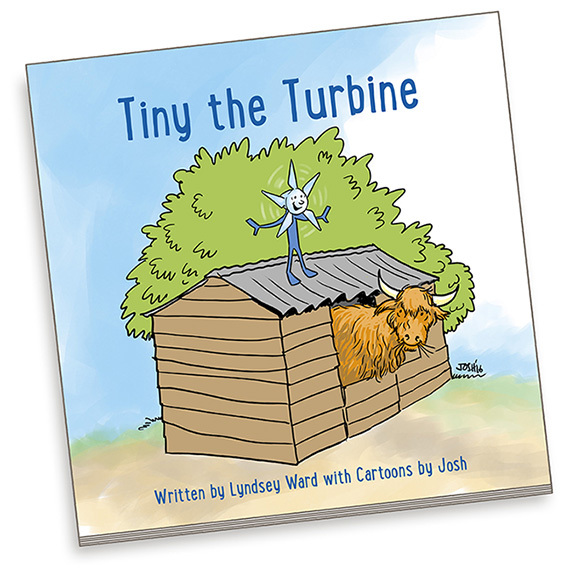 Today we are launching ‘Tiny the Turbine’ written by Lyndsey Ward and illustrated by me. Tiny the Turbine is a story that really is for children. Following Subsidy Sam’s release it was clear that there was a need for something that would help children understand the negative impacts of large scale wind developments. Happily Josh agreed and we have worked together to produce this second story specifically for children. Subsidy Sam is a dark tale but Tiny the Turbine is a moral and uplifting story and shows that it is possible to succeed in fighting against the bad things in life no matter how daunting it may seem.